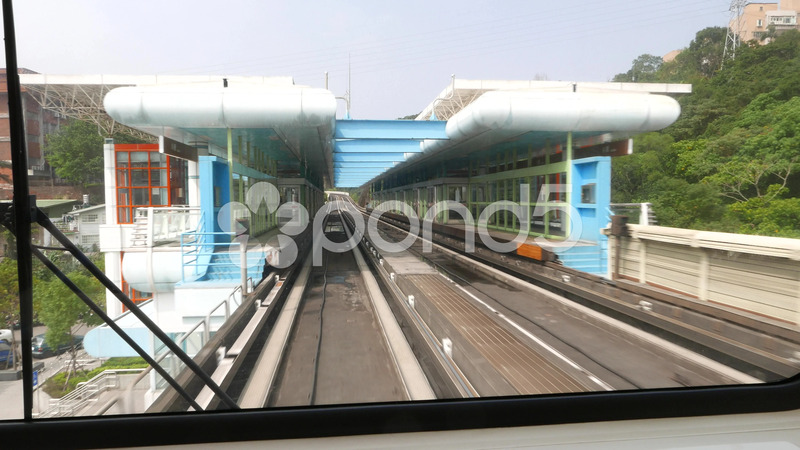 Description: View from rear cabin window of departing metro train, overground railway station. Include acceleration sound, station quickly moves far away from the view, while train speed up. Suburb area of the Taipei city. Rapid Transit System, MRT metro line.